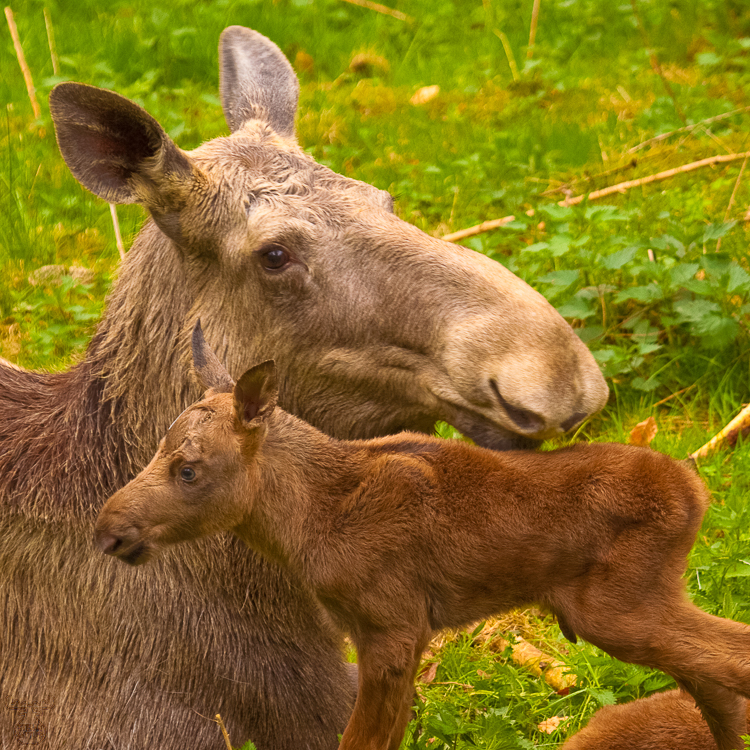 The moose calf twins were just a few hours old when I arrived in Wildpark Hundshaupten - an affecting situation for a friend of the moose. A moose cow is an extraordinarily caring and protective mother. Not even Lars, the moose bull in the park, is allowed to join the family in the first weeks after the calves are born.